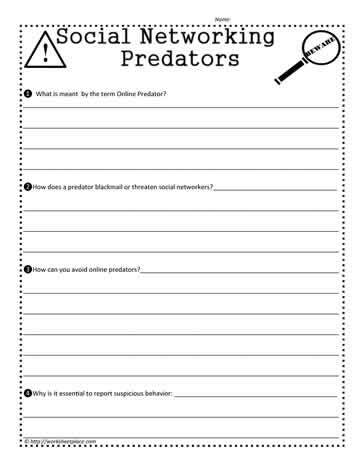 Social media worksheets for learning about predators. Beware of online predators that try to guilt and intimidate you for information and to meet in real time. Learn what the signs are and don't provide information to anyone you don't know.